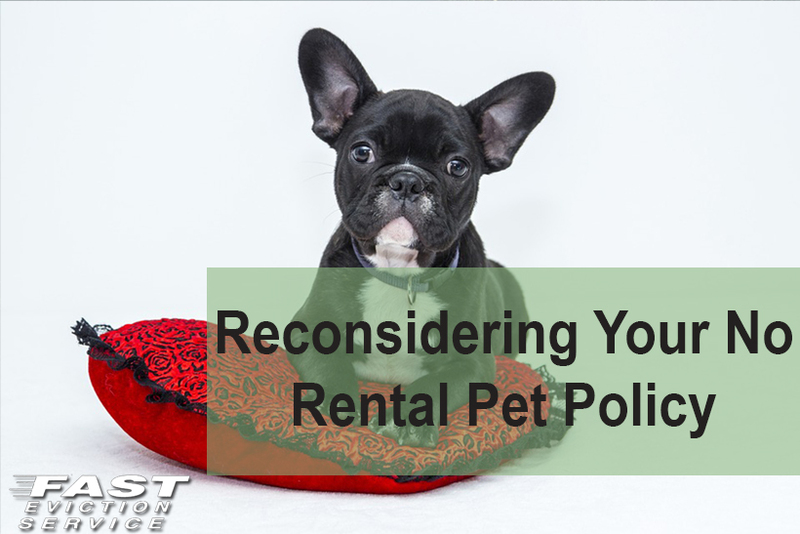 If you are a beginner in the landlord world, you may have already had many colleagues and peers warn you to stay clear of having a pro pet rental policy. Having a pet friendly lease can often times lead to extreme property damage, more expensive turn around, and a lot of liability. Dogs can sometimes be a nuisance by barking all the time which directly conflicts with your other tenant’s “Right to Quiet Enjoyment” which is at the heart of the rental agreement and is what they pay you rent for which must be respected. Dogs can also damage yards and common areas with excrement, and can even frighten or bite someone. Well, we all know all the negatives involved with allowing pets to live with your tenants, especially dogs. Let’s talk about reconsidering what you already know and focus on some positive aspects of allowing dogs to stay on your properties. Ask the applicant to provide you with two or three reference letters from previous landlords or previous neighbors explaining what a nice well-behaved dog they have (ie Reference letters for your dog). Ask your applicant to show you obedience school certificates, proof of neutering or spaying and the dogs’ vaccination and licensing records. If you’re comfortable being around dogs, you can have the applicant bring it by the premises to see how well-mannered the dog is. Ask the applicant if he or she is willing to double down on the deposit. Keep in mind that in some states like California, the legal limit of a security deposit is two times the monthly rent. Besides the double deposit, you can also have the applicant agree to providing steam cleaning services after he/she moves out. You get the general idea. There are many clauses you can append to the original lease regarding dogs in general or in a very individual basis. There are a couple of other things worth mentioning regarding pet rental agreements that you should keep in mind. One for example is the fact that there are several states that prohibit the landlord from refusing to rent to elderly or disabled tenants that have a dog. These states include the state of Arizona, District of Columbia, Minnesota and New Jersey. Another special legislation to keep in mind is that in California Law regarding pet rental agreements in mobile home parks cannot prohibit tenants to keep pets, nor can they charge an additional fee unless the landlord provides special facilities or services for pets. Pet ownership and pet rental agreements has been a rising trend for the past 10 years. A lot of people just prefer the companionship of a small dog to having a baby and it’s time landlords caught up and opened up their doors and lease policies to these little creatures. What experiences have you had with an open pet rental policy? We would love to know!